Developer ConcernedApe and publisher Chucklefish Games have announced the release date for the Nintendo Switch version of farming simulator Stardew Valley. Previously announced as coming to Wii U before being moved to Switch, the game will finally release on October 5. It will be available for $14.99 USD, the same price as the digital releases on other consoles and PC. The port is being developed by Sickhead Games, the developer of the game’s other console ports and some others, including Axiom Verge and Octodad: Dadliest Catch. There’s no specific word on whether this release is digital-only or if there will be a physical version as well. 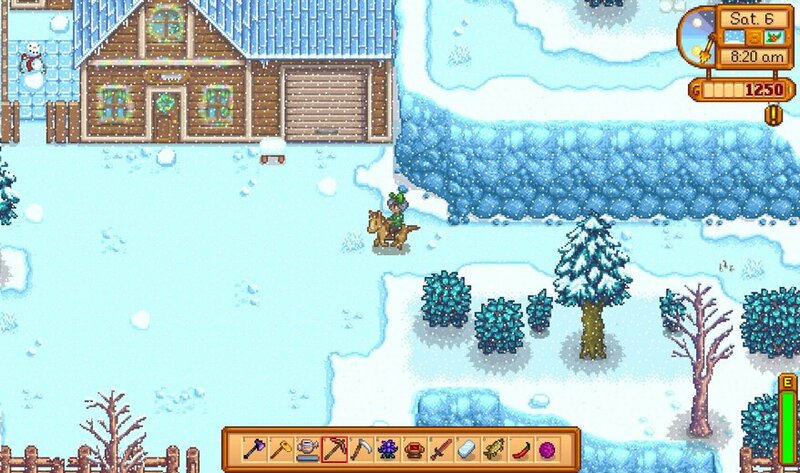 Stardew Valley is a farming simulator in the vein of Harvest Moon, and you play as a disillusioned corporate employee who moves to take over their grandfather’s old farm plot in the rural, idyllic Stardew Valley. It’s your job to get the overgrown farm prosperous once more, befriend the villagers of Pelican Town, and live your new life. Stardew Valley was originally released on Steam on February 26, 2016, with PS4 and Xbox One versions following on December 5, 2016. If you want to see our thoughts on the game, we’ve got a review for the PC version here. I personally am quite fond of the game on PC, and am looking forward to picking it up on Switch as well to play on the portable system.